Moosehead is Canada's oldest and largest independent brewery, but this weekend it will be the new kid on the block of small-batch breweries. 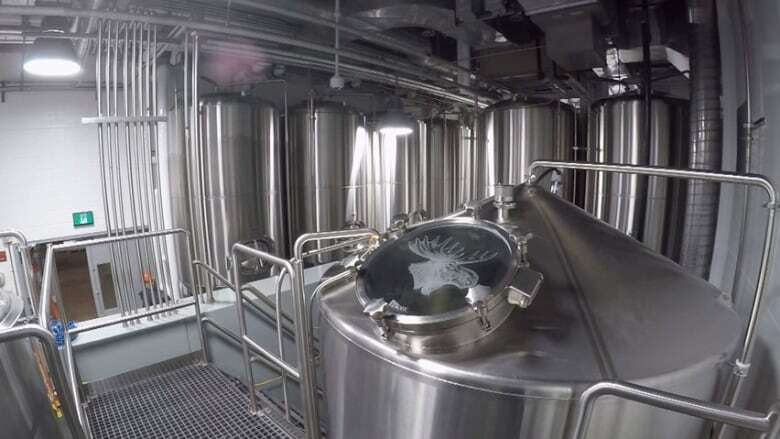 Moosehead is Canada's oldest and largest independent brewer, but this weekend it will be the new kid on the block of small-batch breweries. It's been a couple of years in the making, including one false start when a planned 10,000-square-foot location on the Saint John waterfront was cancelled, but its new small-batch brewery and taproom on the city's west side is scheduled to open Saturday at 10 a.m.
Moosehead Breweries president and CEO Andrew Oland is excited. 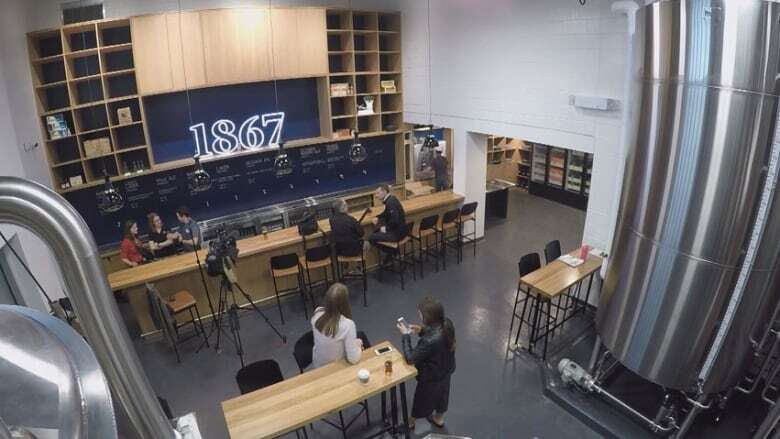 ​"We want to showcase our passion for beer," he said, as workers put finishing touches on the new 2,500-square-foot facility, which is attached to the company's large historic brewhouse on Main Street West and used to be part of the packaging warehouse. "It's all about inviting the community into what has – prior to now – been very much an industrial facility, which hasn't looked that welcoming and hasn't been that welcoming." A growing interest in craft beer and demand for variety prompted the move, said Oland, describing it as both a challenge and an opportunity. The small-batch brewery features a 20-barrel system, and a three-barrel pilot system, allowing its brewers to create new recipes and styles of beer in smaller quantities for retail, either on-site in the tap room or at bars and restaurants locally and nationally. The main brewery, with its 450-barrel brewing system, is "just too big" and produces too much volume to be able to experiment, he said. The new system is "much more manageable," at about 40 kegs. Five new small-batch beers are expected to be on tap Saturday, including a stout, dunkelweizen, bock, session IPA, and October brown ale, the latter of which was inspired by the first beer Moosehead's matriarch, Susannah Oland, brewed in 1867. "Our plan is, as we get up and running, just to have lots of variety going through the tap room," said Oland. A platform allows visitors to be among the stainless steel vessels and watch the brewers at work. "I mean you are literally in this 20-barrel brewing system. It is right here," he said. Five of the company's existing core brands will also be available on tap, including Moosehead Lager, Moosehead Light, Moosehead Grapefruit Radler, Clancy's Amber Ale, and Moosehead Pale Ale. The bar seats about 50 people, and there is a small patio, as well as a bridge from the sloped parking lot to the entrance, he said. 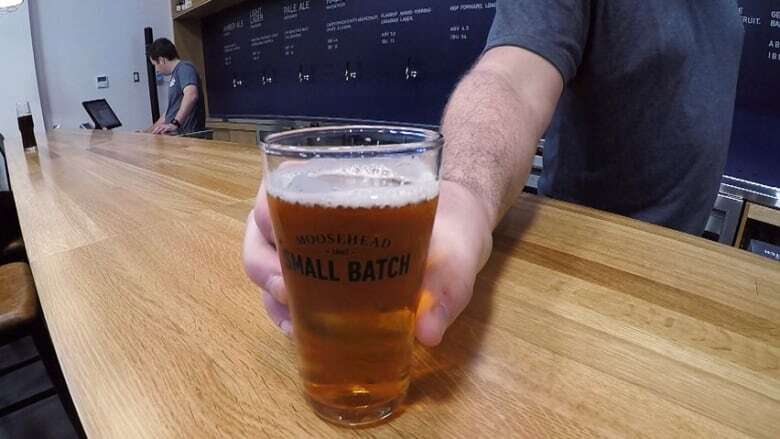 There is also a growler fill-station and a retail store with Moosehead brands in cans and bottles, along with Moosehead merchandise, such as T-shirts and glassware. And tours, which started being offered last June, will continue. 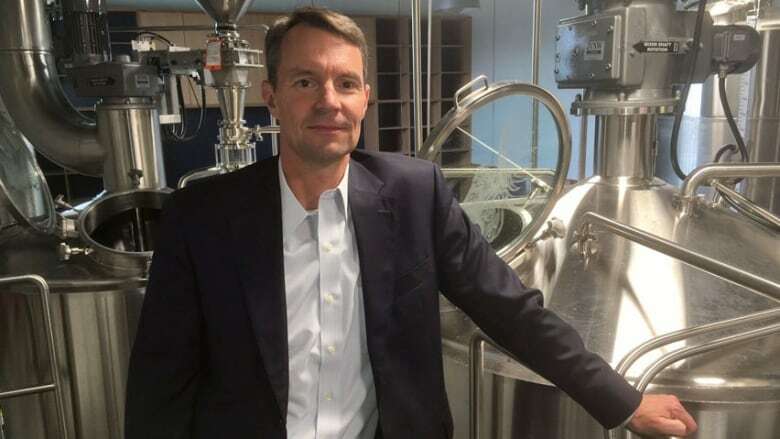 "It's going to be a work in process for us," said Oland, who has hired eight new full-time employees for the small-batch brewery. Asked about the proposed uptown location on Water Street, at the bottom of Princess Street, falling through due to budget shortfalls, he said, "Things happen for a reason. "[This] allows us to showcase the best of our existing brewery plus the new brewery and really create a hub of activity" on the west side. "So we're very pleased." The small-batch brewery comes on the heels of Moosehead's 150th anniversary celebrations last year.